Projekt is proud to announce the release of a best of compilation album from the legendary surrealist goth / dream-pop / darkwave ensemble, Trance to the Sun. Ground-breaking and critically acclaimed in their time (1990-2001), this compilation coincides with the bands first performance in half a decade, at Convergence 13 in Portland (last weekend of May, 2007). 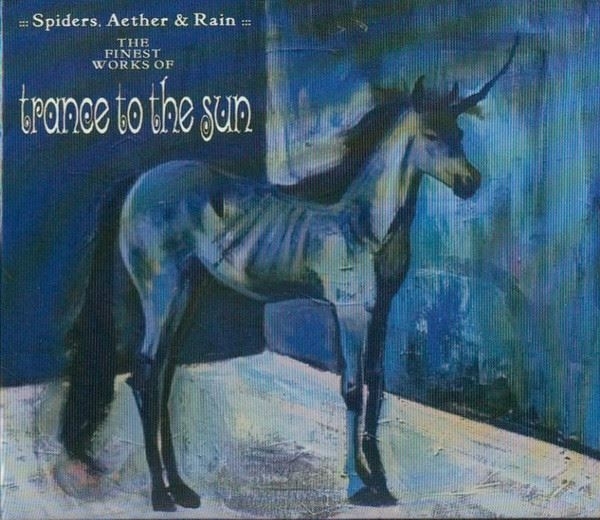 Spiders, Aether & Rain features thirteen tracks spanning the entire Trance to the Sun oeuvre; from haunting, spindly ballads to thunderous goth-rock waltzes; from freaked-out electronic gems of hypnotic rhythm to heavily orchestrated pseudo-symphonic cacophonies. Whether youre a long time devotee, or just discovering this critically acclaimed, elegant music for the first time, this release is for you. Spiders, Aether & Rain is released in a limited edition Digi-Pak which features newly created cover artwork by vocalist Ingrid Blue, plus a 12 page booklet filled with rare and previously unseen photos! Extensive liner notes, an unreleased track (from 1997s unfinished Equinox sessions), and Trance to the Suns ultra-rare cover version of the Cocteau Twins When Mama Was Moth round out this no-holds-barred release. Its definitely a must have!